Marco On The Bass: The Story Behind 'Oh Carolina': Jamaican Music Pioneers The Folkes Brothers Reunite! That's still not the full story though is it? 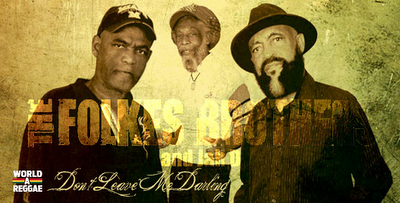 The Prince Buster version in the picture is credited to Prince Buster himself (C. Campbell) but the Folkes Brothers version is credited to someone Abrahams, who the heck was that? And I have a another version on a Trojan compilation LP from 1970 called The Man from Carolina by the G. G. Allstars which is credited to Ernest Ranglin. So if John Folkes really did write it (as per the Judgement), it sounds like he is due a heap royalties from a whole boatload of people not just Shaggy. 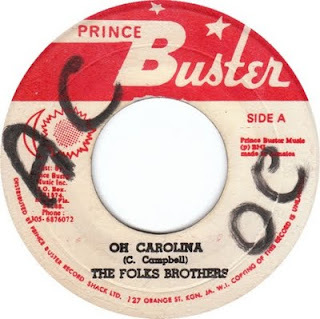 Unfortunately for Mr. Folkes, he sold Greensleeves the publishing rights to "Oh Carolina" prior to the Shaggy hit, so it's unclear if he really made that much from the deal. Actually - he DIDN'T sell the rights to the song - which is why this case did not end in 1994 with just the judgment giving him authorship, and therefore, automatic copyright ownership of the song. Uncle Mico started this new group behind my dads back. Mico and Junior did nothing but sing back up...they were brought in by my dad but otherwise had nothing to do with the creation. Prince Buster ...Cecil Campbell is a liar and Shaggy is a thief. He did NOT have any permission to make a bumba raas verson.